I’ve been touting the praises of Grove Collaborative (formally ePantry) for a while now for several reasons. Not only is it a subscription service that simplifies my life but it also saves me money too. I don’t know how they do it but Grove Collaborative offers a wide variety of high quality, earth friendly products for home, cleaning, and personal care discounted AND offer free shipping too. Since I’ve been using them consistently for a while now, I also occasionally get free products to try out too. I love that we live in a day and age when I can order practically anything and everything online now (including my groceries!) which is a huge time saver. Anyone with little ones knows how hard it is to get everyone bundled and loaded up. 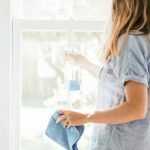 Earlier this week I shared my brand new 52-Week Home Project Challenge which includes starting the year making an inventory and cleaning out your cleaning supplies (because you can’t clean the house if you don’t have the right tools!) 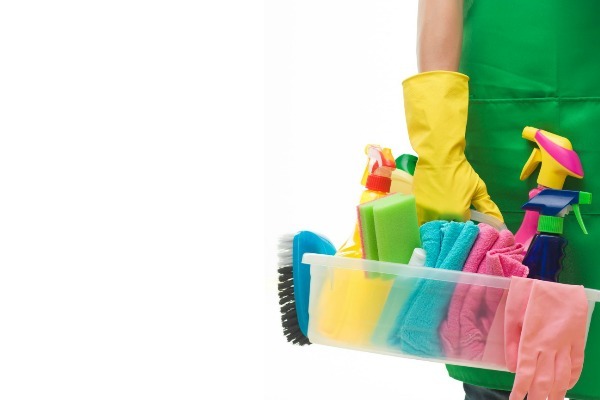 If you have started working through that challenge and realized you have some gaps in your cleaning basket, I’ve got some exciting news for you! When you sign up for Grove Collaborative using my referral link, you’ll get a $10 credit! Interested but not sure Grove Collaborative is worth it? It’s a fair concern but I can honestly say that after using them for several months now, it’s one of my sanity savers. In fact, wanted to share with you my top favorite products, the ones I order again and again from Grove Collaborative. Method Moisturizing Body Wash in Magnolia :: I love this body wash! Not only does it smell amazing but it also goes a long way! I use it both as a body wash and as a shaving cream. Acure Organize Night Cream :: While I love my oil cleansing method (cleanses and moisturizes my skin) my skin is starting to become… how do you say it? mature 😉 This night cream is both creamy and lightweight and really restores my skin. I wake up to bright, smooth and fresh skin every morning! 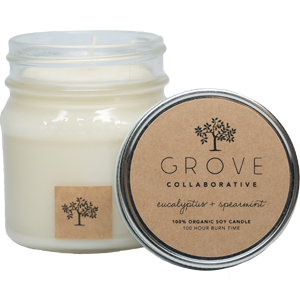 Grove Collaborative 70+ Hour All Natural Soy Candle in Blood Orange :: I can no longer be in denial that my once favorite scented candle is full of toxins so I needed a switch. I’ve been getting a soy candle every month to place in various places around my home. They last and they smell amazing. No longer does one stinky diaper ruin my whole home, if you know what I mean! Zarbee’s Naturals Children’s Cough Syrup :: There is nothing worse than a kid up all night coughing. I’ve tried unsuccessfully to get them to swallow a spoonful of honey to coat their throat. Having a natural cough syrup on hand that I feel comfortable with my kids intaking is a added bonus to our natural medicine cabinet. Grove Collaborative Orange + Cardamom Lip Balm :: Sadly Grove Collaborative doesn’t carry Burt’s Bees (my favorite lip balm) but I received a free tube of this in my last monthly box and I just might be hooked. The lip balm is really creamy and leaves my lips feeling smooth and moisturized. Plus it tastes and smells yummy too. Mrs. Meyer’s Hand Soap :: This hand soap lasts forever since it’s so concentrated, a little pump really gets your hands clean. And it smells so good too! 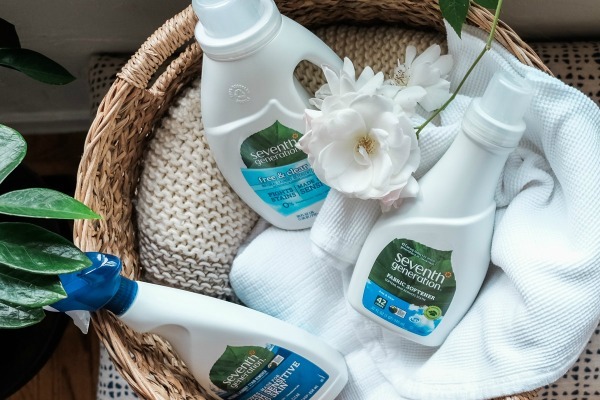 Method 4x Concentrated Laundry Detergent :: My laundry routine is simple, I only use detergent (no extra bleach, fabric softener or stain remover) and it gets the job done! I use the Free and Clear variety due to my kid’s sensitive skin. 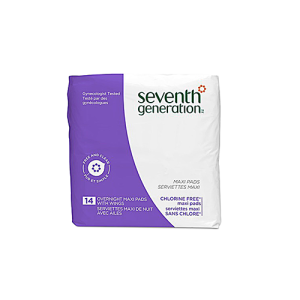 Seventh Generation Chlorine Free Overnight Maxi Pads with Wings :: TMI alert… since childbirth my monthly cycles have been heavy but I have become very leary of the ingredients in the standard maxi pads. Not brave enough to go full cloth (yet), these natural alternative work just as well as my old brand. Dr. Bronner’s Organic Hand Sanitizer Spray :: Sometimes you don’t have access to soap and water when you need it but the thought of using hand sanitizer isn’t really appealing either. But this is one brand you can feel good about using. I keep one in my purse and one in the diaper bag. I’m ordering another next month to place in the car. Method Kids Shampoo + Body Wash :: First off anything with Mickey Mouse on it is a favorite with my kids. Second, this tear-free shampoo and body wash is a welcomed addition to our kid’s bathtime. 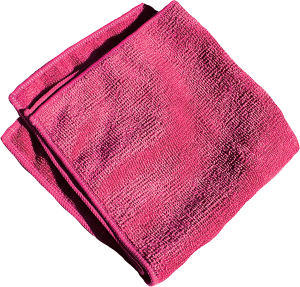 e-Cloth General Purpose Cleaning Cloth :: I’ve ditched all my old stained rags for a few of these high quality rags. They clean every surface, are very durable and are much cheaper than Norex. 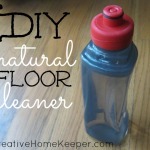 This is one of my top favorite cleaning tools! Mrs. Meyer’s Dish Soap :: Tough on grease, a little squirt cleans a lot and leaves my hands feeling moisturized. And the different scents smell amazing too! 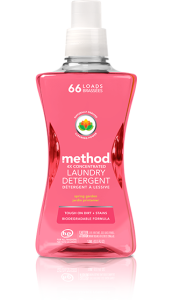 Method Daily Shower Spray :: We’ve been using this shower spray for years in our shower and I have never had to scrub away built on gunk. Spray daily and keep your shower clean with little work! Every month I place some of these products in my cart as needed (they offer suggestions, but you can tailor to fit your needs) and schedule my order. That’s it! Easy peasy! And if you don’t want a box every month you can change your preferences, there is NO monthly commitment. YOU choose when and if you want a delivery and WHAT you want to receive each month! Plus, they price match and when you sign up for a VIP membership, you get free shipping and free gifts throughout the year!!! 2. 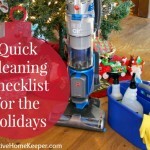 Answer a few quick questions about your family and how clean your home is. (Be honest!) This only takes 30 seconds and customizes your first basket. You can always change and swap out items to your preferences. 4. You made it! Click finish & pay, place your order. You won’t know how to live without Grove Collaborative in your life… seriously! If you have any questions or have trouble ordering, their customer service is impeccable! Jusk ask and they will assist. *Grove Collaborative currently does not ship to Canada, Alaska or Hawaii.